Medisoft Clinical is e-MD's exclusive electronic medical record (EMR) solution designed to streamline front-to-back office processes in practice already up and running with Medisoft as billing and scheduling software. Combine Medisoft Clinical with your pre-exisiting Medisoft practice management system for a fully electronic workflow. Medisoft Clinical is a simple solution for providing a level of care you can’t find anywhere else. Medisoft Clinical enables physicians to give their patients 100% of their attention by leaving behind the stress and worry that come with many other EMRs on the market. Together, the advanced features in our product work together to create ease-of-use so you can spend less time with your EMR, and more time with your patient. Clinical with Bright Note Technology uses dynamic processing power to instantaneously populate patient data across the entire chart from a single note. Bright Note Technology’s intuitive design helps physicians feel more comfortable with using an EMR to care for their patients. 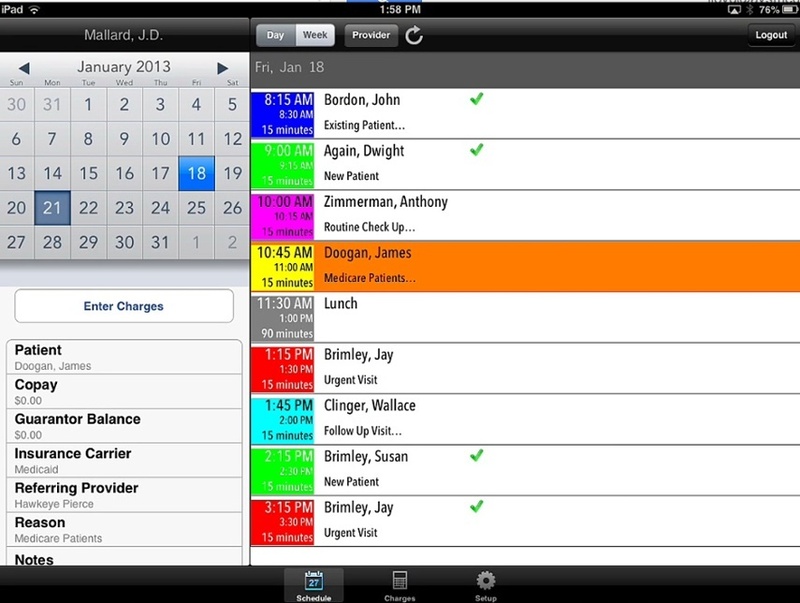 Medisoft Mobile is a free application for the iPhone, iPad, or iTouch that allow users to connect with their Medisoft practice management system anytime, anyplace. Use it to charge capture, schedule, and more. Interested in a Medisoft Clinical Demo?